A volunteer service in New Mills is on the lookout for people with a passion for gardening and horticulture. As the good weather has made an appearance, New Mills and District Volunteer Centre has seen an influx in requests from local elderly or disabled residents, wanting gardening support. 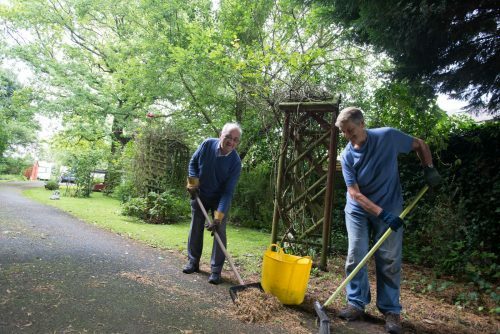 The centre offers a service to people from New Mills to Chapel-en-le-Frith and villages in-between, who might struggle to get out and maintain their gardens including grass cutting, trimming and weeding. Sandra Oates, Social Groups and Volunteer Coordinator, said: “We have recently been receiving requests and referrals for gardening on almost a daily basis. It is getting to the point that I may have to say we cannot take on any new requests. This would be a huge shame, and a disappointment to our service users who very much rely upon our support. For more information about the role, or to offer your support, contact Sandra via email on: sandra@nmvc.org – or call 01663 744196.